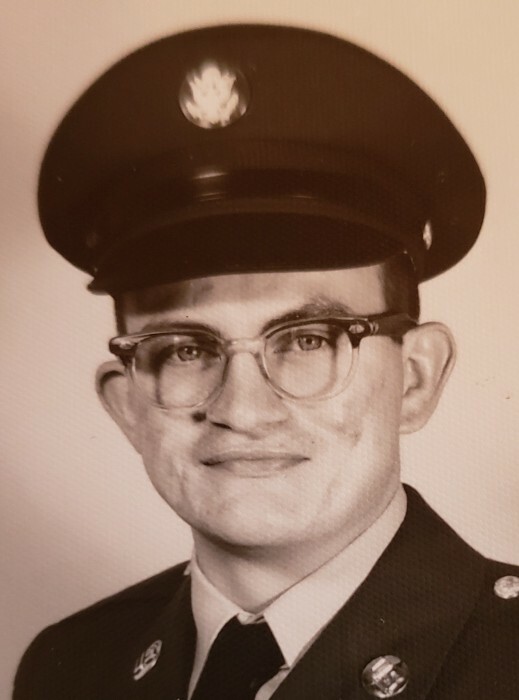 Age 75, of Wheelersburg, passed away Saturday, February 9, 2019, at his home. He was born February 14, 1943 in Scioto County to Roy and Cecile (Martin) Benner. After graduating in 1961 from Portsmouth East High School, Roger served his country in the U.S. Army. He worked professionally in Environmental Services for Miami Valley Hospital. Roger enjoyed traveling and was a big supporter of East High athletics. He was a member of James Dickey Post #23, American Legion, the Fraternal Order of Eagles in New Boston, and attended Sacred Mission. Roger was particularly fond of his nieces and nephews. He is survived by a brother, Pastor James (Delores) Benner of Wheelersburg; two sisters, Shirley Withrow of Columbus and Connie Rose of Pataskala; several nieces, nephews, great-nieces, and great-nephews. He was preceded in death by his parents and a brother, Ronald L. Benner. Funeral services will be held at 6:00 p.m. Wednesday, February 13, 2019 at D.W. SWICK-NELSON FUNERAL HOME in New Boston. Interment will take place on Thursday at 11:00 a.m. Memorial Burial Park in Wheelersburg. Military rites will be provided by James Dickey Post #23, American Legion. Friends may call on Wednesday from 4 – 6:00 p.m. prior to the funeral. Fond memories and expressions of condolence may be shared at www.DWSwickNelsonFuneralHome.com.